In this week’s Podcast Episode, I will directly answer some questions from audience members and we will also touch on a new pricing model change for Long Tail Pro. Ellen asked about what equipment that I use to record audio and for the Podcast. The microphone that I utilize is the Audio-Technica ATR2100 Microphone and I attach this inexpensive Wind Screen Pop Filter to the microphone stand that comes with the mic. This setup is one that has been recommended by many of the big hitters in the Podcasting industry and I have to say it has exceeded all my expectations. Highly recommended. Erika and Rashad asked about using Amazon links through the EasyAzon plugin. Erika asked if the standard 24 hour cookie applies to links created through EasyAzon and the answer is definitely, yes. Anytime someone clicks on one of your Amazon affiliate links, you would be credited for any purchases that person makes in the next 24 hours, even if they are not the item they originally clicked on. Rashad asked if someone clicks on one of your Amazon affiliate links created through EasyAzon, if they then add some items to their cart afterwards, would you get commissions on those products for a full 90 days? The answer there is yes as well. When you utilize the add-to-cart feature built into EasyAzon, or even if someone clicks your regular links and then adds items to their cart afterwards, either way, you would get commission for any items placed into their cart and purchased for a full 90 days. EasyAzon allows you to quickly and easily insert Amazon links or call to action buttons, such as the add-to-cart button, in addition to providing you with the ability to get additional income from folks that come to your site from other countries. Through their link-localization feature, your links would automatically point to products in their country specific Amazon site, where applicable. In that way, you would also get commissions from those sales, where normally you’d be limited to sales from those folks that are coming from your native country only. You can grab EasyAzon for the discounted price of $29 through my link and that includes their ultimate Amazon affiliate guide updated for 2015, as well as two premium Amazon style WordPress themes as bonuses. This was an interesting question that I received via email from a subscriber, Allen. He asked if I had any experience utilizing domain forwarding and masking, which allows you to forward a domain name to a different URL, while masking the new destination. I have forwarded domains from one URL to another when switching domain names, but domain forwarding and masking is a little different. In this case he was thinking about forwarding a domain name directly to a ClickBank sales page for a particular product. All indications are that it is not against their terms of service, however, you would not want to do this for Amazon affiliate links. This would definitely be against their terms of service and it could get your Amazon affiliate account banned. Here is an example of someone that said the process generated some pretty decent sales for them, when tried utilizing a product from ClickBank. Be sure to listen in to the Podcast for additional details. 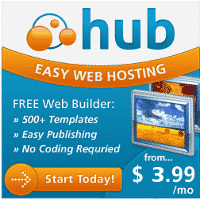 Here is how the process works utilizing either GoDaddy, or my recommended domain host NameCheap. Here is a prior post of mine on how to find great products to promote on ClickBank. If you’ve tried something like this and had good or bad luck, let us know in the comments below. I plan to give it a try soon and will report back with details in the future. It looks like the folks at Long Tail Pro will be making a pretty significant pricing model change going forward. Based on an email I sent to their affiliate team over the weekend and some info on their main site LongTailPro.com, it looks like they will be going to a 100% subscription based model. 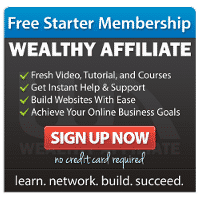 On their site it shows two pricing strategies, one is a monthly fee of $37 per month, which includes the Long Tail Pro base software and their Platinum add-on. The other is an annual subscription of $352, which includes Long Tail Pro, the Platinum add-on and access to their Long Tail University training program. This is a pretty big departure from their prior pricing strategy. I let my email subscribers and Private FB group folks know this new pricing change / increase is coming. From what I heard from their affiliate team, Spencer will be releasing those details the day this episode goes live, on Monday, Feb 8th. As of the time I’m writing this post on Sunday, Feb 7th, my discount link utilizing their prior pricing still works. Their affiliate team let me know that all existing discount links, such as mine, would be migrated over to their new pricing model very soon. For as long as my discount link is still active, you can get Long Tail Pro itself for $67, or you can get Long Tail Pro and Lifetime Access to the Platinum upgrade for a one-time fee of $297. That includes Lifetime updates as well. It looks like this may be the last time you can get lifetime access for a one-time fee, so if you’ve been planning to grab that special offer, act now, as it looks like it will be gone for good. I don’t know exactly when my discount link will cease to function, but my guess is very soon and it might already be gone when this post goes live on Monday. If so, I apologize. Be sure to subscribe to my email list and join the Private Facebook Mastermind group, so that you will be in the loop on any urgent updates, as soon as I become aware of them. 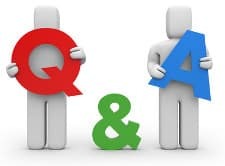 As always, if you have any questions or suggestions for upcoming topics, please reach out via email to chris “@” nichesitetools.com, leave a comment below, or you can also leave a voice mail message on SpeakPipe via my contact page. I would also greatly appreciate some more 5 star reviews on either iTunes or Stitcher. They go a long way to helping me know you are enjoying the show and they help to bring in more great folks like yourself, to the community. And of course, all 5 star reviews will receive a shout-out on the next Podcast episode. If you’re unsure of how to leave a review, here is a post that will show you how. Thanks a bunch and I hope you have a fantastic week!